It is no secret that fashion trends tend to come back after 10-15 years. This means that it’s about time for the nineties fashion to make its glorious return. The famous Dr. Martens and their modern twins are back. 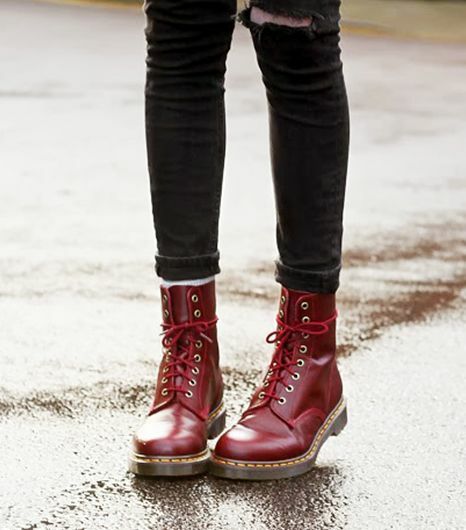 These 20 tips will help you understand how to wear combat boots with style. Mixing in trendy elements will keep your look fixed in the 21st century. Combat boots is one of the greatest ways to balance your ultra-feminine bottom. Sometimes it might be not easy to make a romantic feminine skirt work. That is when a pair of combat boots becomes a must-have. The result is outstanding- it is soft and romantic and at the same time hip and chic look. It is superb for delicate girls who are afraid to be outshone by their romantic skirt. Combats go well with a regular look. Wear them with a t-shirt and a pair of pants or your casual skirt. This look is always appropriate and great for busy girls who prefer the pleasure of comfort to the inconvenience of following the latest trends and do not want to think too much what to wear today. You bought a romantic lace dress on the spur of the moment and now are not really sure what to wear it with? Pair it with combats and a jeans jacket to toughen up your whole look and to not resemble a modern bride. The look turns into delicate and edgy at the same time and is great for each and everyone. This look is a variation of a lace dress. In this case, however, it is hard to imagine the floral dress to go with anything but a pair of combat boots. The key is to match the shade of the boots and the dress. The result is incredibly cute and irresistible! With winter around the corner, it’s time to change the kicks and sneakers for much warmer and appropriate combat boots. Your favorite skater skirt will definitely look more fun when paired with those! It’s unbelievably cute and trendy. And will keep you warm. Go all black to get the most out of these tough boots. Mix and match them with a black top and a black bottom. These boots have never looked sexier! You are proud of your legs and you will never part with your favorite mini? That is not a reason not to wear the trend of this season. Combine your mini skirt or a mini dress with a pair of tough combat boots for a hot edgy look. This a perfect combination of a girl next door and a hot seductress. Yes, here is some great news- you can wear your combat boots to the office and still look professional! Match them with a business-like jacket and do not forget about a statement briefcase for the ultimate business casual look. You will look like competent and sharp in this outfit. 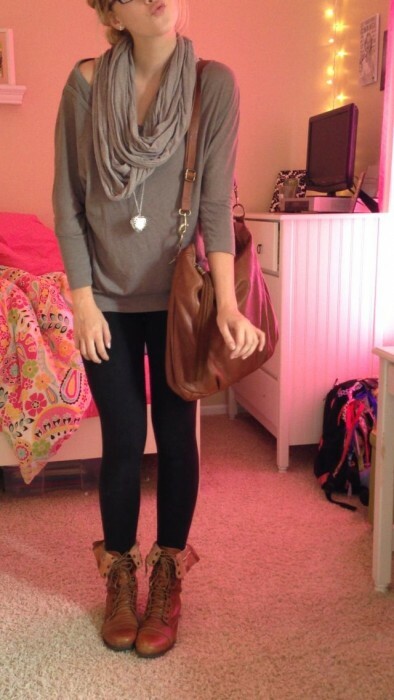 Combat boots are perfect for your lazy weekend when you just want to relax and not care too much about your outfit. A beanie and a pair of sunglasses will help you stand out. Jeans. 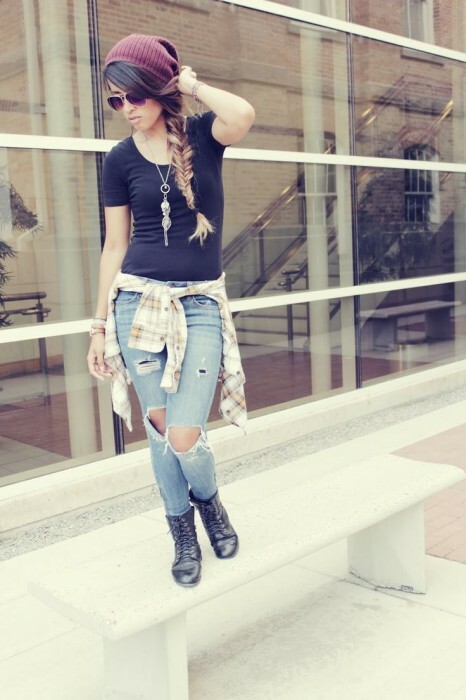 This is the easiest look to pull off; all you need is a pair of jeans, a shirt, and a pair of combat boots. Everybody has jeans, so to spice an everyday uniform up, all you should do is mix and match them with a pair of combats. Go skinny for an everyday look or choose a boyfriend cut in case you are going for something sharper. Wear combat boots with denim shorts if you have nice long legs and if it is still warm outside, of course. Combat boots will give your look a final touch, which would be impossible to get with sneakers or sandals; besides they help balance the hips with the bottom of your legs. That is why the look is also great for girls with curves, reminiscing of pinup era. Ever wondered how to make the trend of the season work without looking weird and disproportionate? The solution is simple- pair your high waisted pants with combat boots and voila- your look is complete and ready to go. Great combination for an easy winter look when paired with a heavy scarf. Excellent choice for a shopping spree with your girlfriends. This look will definitely brighten gloomy winter days. For the ultimate 90’s look, wear your combats with leather items, such as leather pants and a biker jacket. Big hair is an essential element of this style. Mix and match the core with modern accessories not to look old-fashioned. You would be surprised to learn that combat boots can actually be worn with a hit of the year, that is, harem pants. This attention-grabbing summer item can be used in winter as well, when combined with a long-sleeve shirt and a pair of combats. You can choose warm winter harem pants for something more traditional or stay with the summer floral ones for something more trendy. Be careful though: if you want to pull off this style, consider thoroughly each little detail of your image. Vintage dress with knitted accessories. If you are a lucky owner of a really special dress, treat it with care and respect. For the vintage outfit not to look outdated, it is essential to pair it with modern accessories, which would be impossible in the time of the dress. That is when combat boots come to the rescue. Add some knitted elements to stay warm- and your stylish look becomes very expressive. 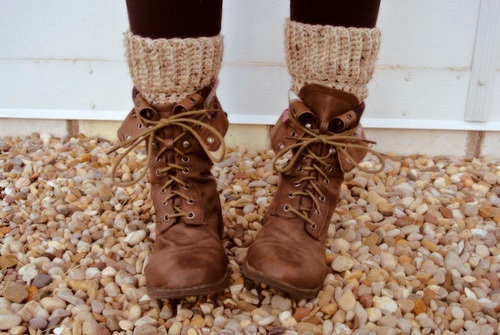 Combat boots are great for cold wintertime when paired with appropriate winter items. A coat and a beanie will keep you warm and a pair of combat boots- trendy and chic. You can as well wear them with fur and leopard print coats to balance the flamboyance of the fur, which is sometimes the risk when wearing those items. After having tried all the looks described above, another way to spice up your look is to choose a different style for the boots. Go feminine for something outstanding and distinct. 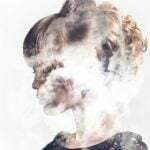 For example, different shades of white and beige, or floral prints on your combat boots will change your style dramatically and add girlish and easygoing touch to it. Perfect for girls who want to balance their natural boyish look by adding something more feminine and playful. Bright colors for a new look. If girlish and playful is not really for you, but you are tired of traditionally black and brown colors for your favorite boots, try something different. A splash of bright color will do the trick and lighten up your mood and your whole image. Rollover with socks or legwarmers. This looks awesome no matter what you match your boots with. Rollover your combat boots or leave them be, but add an extra layer of funky socks or legwarmers to look adventurous and stylish. 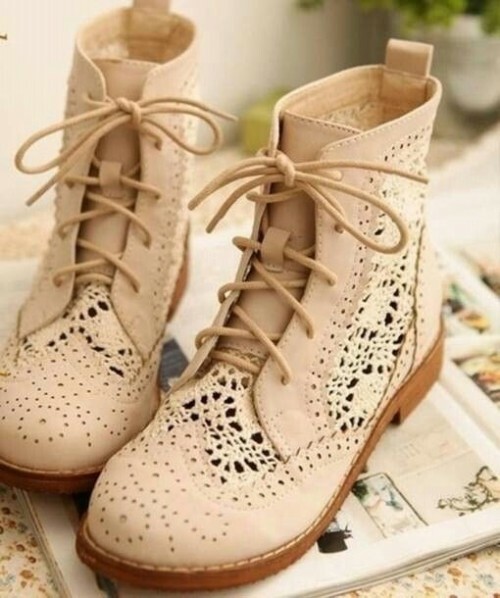 Combat boots will definitely stay with us for while, that’s why choose a few perfect looks that fit your personality. And remember: no matter which style you choose for yourself, these boots are made for walking, so experiment, try new looks and in any case do not take it too seriously because fashion is nothing but a game. These are so cute I love these ideas,thanks for the tips! You are welcome! I am glad that you enjoyed the article. Thanks for commenting! I am glad to hear that you enjoyed the tips, Cris. Our writers often write articles about different fashion styles and how to wear them. 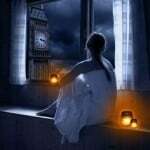 If you click around on Her Interest for a bit, I am sure you will find a number of other articles that might suit you. Thanks for commenting!